Key performance indicators (KPIs) are metrics that businesses use to help make smarter business decisions. Hotel businesses have been using KPIs for years to measure success, maximize profitability and make more informed business decisions. But, as in many cases, vacation rentals work differently than hotels. To help you measure your own vacation rental’s success, OneRooftop has put together a guide of metrics that vacation rental managers should begin to track in 2017. Should I discount that booking? Can I raise my property’s rates? Can my business afford to trade nights with a travel blogger? Why is a property underperforming? Should I replace old channels with new ones? 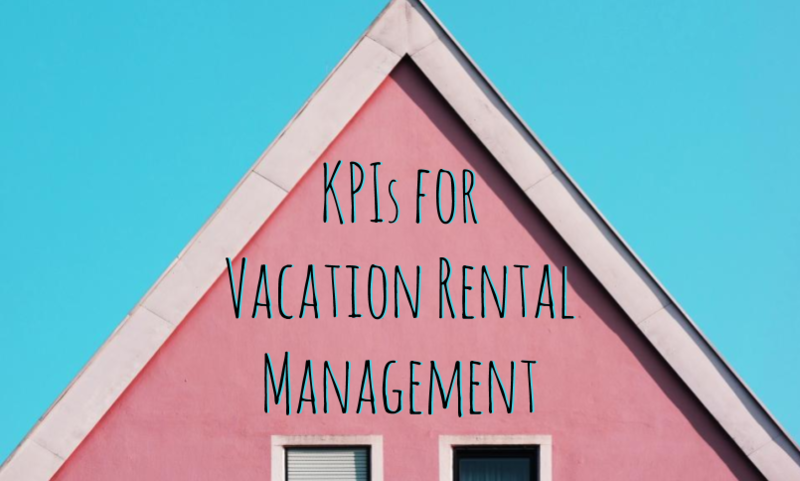 There are two main sets of vacation rental KPIs you should be tracking. The first relates to your management — everything from bookings to occupancy rates and the kind of revenue you earning. The second set of measurements you’ll want to take will be your vacation rental website’s performance. Diversifying your marketing portfolio was probably one of the reasons you started your vacation rental website in the first place. Knowing the percentage of your bookings that come from HomeAway, Airbnb, your own website, and any other listing site is powerful information. You can use it to to track how much your business is paying to a listing site and determine the cost. One way to track this data would be to simply compile your distribution in a spreadsheet each month. Or if you’re using a property management software you can track this in your reporting feature, such as OneRooftop’s Reservations by Channel Report. Cost per Inquiry is a vacation rental KPI you’re going to hear more and more in 2017, especially as paid advertising with Facebook and Adwords becomes more pronounced in the space. Calculate this by dividing the Total Cost of Promotion (includes listings on HomeAway / Adwords campaigns / sponsored Facebook posts, your website hosting fees) by the number of Inquiries Generated. If you’re advertising on multiple channels you’ll want to determine the Cost Per Inquiry for each channel. Keeping this cost lower means you can earn more revenue. Digital marketers will often advise that you investigate new opportunities for organic search engine traffict book directly on your website. Occupancy Rate is a deceptively simple KPI, so we’d like to expound on what points you should take away from your data and how it should be used. On one level it’s a simple question: Is the calendar booked up or not? The easiest way to check is to just log into OneRooftop and run an occupancy report. On another level, reaching a high occupancy rate doesn’t necessarily translate to a higher profit. When we hear property managers and owners say they proudly book 90% during peak season, we wonder if that’s actually a sign of great performance. Only you can determine this, of course. However, it’s likely you could increase your rates and earn a higher revenue. Let’s say at the end of the quarter you want to check how much revenue you’re actually earning. A simple way to check this is the Average Daily Rate, or ADR. For a given period of time (a month, a quarter, a year), divide a property’s total revenue by the number of nights sold. You can easily check this with just a couple clicks in your OneRooftop Occupancy Report. Revenue per Available Room (RevPAR) is a hotel-industry KPI to get a sense of how many rooms are actually getting booked. In the vacation rental industry, a home is either booked or it’s not. We’ll keep the name, just note that we’re talking about the whole property and not singular rooms inside your home. To calculate your RevPAR, divide your Average Nightly Rate by your Occupancy. This one is really fun! How many people are on your site? What pages do they go to? You can track how your leads move through your site with a Google Analytics account. Tying your Google Analytics tracker ID into OneRooftop is a breeze. As you get started though you’ll want to track how much traffic you have on the property pages. Unique page views is another Google Analytics metric. As opposed to your full page view count, unique page views tells you how many times a single user visited the page for the first time. Knowing your unique page views is valuable information when you view it alongside your conversions. Divide your unique page view count by how many inquiries you receive. There are some really poorly made websites out there for vacation rentals. You can track how people leave your site with the Bounce Rate. Google tracks how people leave your site without interacting with the page. Sometimes it’s from slow loading, bad navigation, or simply learning it’s not the right page for them. If you have a high bounce rate, consider updating your content, bringing in some more sophisticated website design elements, or upgrading to a more professional website builder. This could be a vacation rental website template service, like OneRooftop, or you could also launch a wordpress site. The time a guest spends on your page indicates their interest and their ability to get answers. You can use a stopwatch to track how long it takes to read your page and view the photos. Compare this time with how long people are actually on your website. Remember, the best practice for your pages is to make information easily accessible. Use bullet points when possible. When you have notes about your Rates, add them to your “Specific Rate Details” notes for improved availability. A strong website ranks for more than just one keyword in Google. Most owners and managers launching their first ever website forget this. You should begin to do some keyword research to find out what terms you’d like to rank for. While you should go after terms like “vacation rentals in ____________”, patience will be a virture. You’ll want to use your nimbleness early on and go after other niches in the beginning. Once you build up a list you can sign up for a service like Moz Pro or Moz Local to help you track your performance. Using a simple page template like “Local Info” makes it easy to build up lists for keywords like, “best restaurants in mendocino” or “Great hikes in central oregon”. Even keywords like, “traveling with kids in vail” are valuable to get travelers or travel planners to your website. Learn more about optimizing your content for search engines. Don’t Settle for a Method. Manage the Madness. Getting your business up to a full sprint, tracking success metrics, diversifying a marketing portfolio — there’s a lot to do. The advantage of having a vacation rental software is to help you manage the madness. OneRooftop’s suite of management and marketing tools make your life easier. Get started on a 15-day free trial with OneRooftop.